Winnipeg, Canada- December 29, 2010 - Indie game developer Tomkorp announced today that a retail version of their PC puzzle/strategy game Clones will be published by Lace Mamba Global, a European based game publisher, and is anticipated to be released worldwide before summer 2011. “We are very excited to have partnered with Lace Mamba Global and will be working with them over the next few months to ensure the retail version of Clones is absolutely clonesational!” said Ryan Tomko, co-founder. "Clones is the latest addition to our portfolio of independently developed, high quality games. Its highly addictive gameplay is a mixture of old gaming classics and new, innovative ideas, that will appeal to a large audience of core as well as casual gamers. 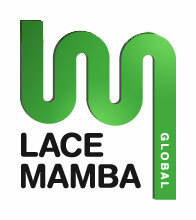 We're looking forward to bringing Clones to the retail stores in Q2 2011", says Jason Codd, European Managing Director of Lace Mamba Global. Clones was released digitally on Nov. 19th 2010 and is on sale at 50% off over the holiday season, available from Steam, Direct2Drive, and the official Clones Store. On Dec. 22nd the first “Clones Multiplayer Jam” event was held and over 240 matches were recorded on the game’s official website, www.ClonesGame.com. “The Multiplayer Jam was a great success. We were very pleased with the number of gamers that participated in online matches and we plan to bring the community together like this more often.” said Tom Kaminski, co-founder. In Clones, the player controls cute alien “clones” by telling them when to morph their bodies in order to overcome obstacles in the landscape and complete the level objective. This can include beaming up a minimum number of clones, leading a special clone to an exit, or reducing all opponent clones to bits. Each puzzle has a leaderboard on the ClonesGame.com website that ranks all solutions based on stats like the number of morphs used, and the time to complete the level. In a recent review for MashThoseButtons reviewer Rob Allegretti had this to say about Clones: “I thoroughly enjoyed my time with this redux of sorts, and would gladly recommend it to any fan of the original or of puzzle games in general.” giving the game a 4.3 / 5 score.